Ships tomorrow if ordered in the next 1 hour and 0 minutes! 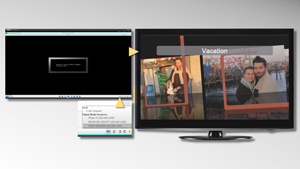 Nero 2015 Platinum is the award-winning suite to burn, rip, convert and manage all your videos and music. And with our new apps, you can master your media, burn over the air and improve your Nero skills, too. It includes the full-featured 4K video editing suite Nero Video 2015 as well as high quality video enhancement tools (such as Tilt-Shift Effects, Retro Film Effects and many more), new font styles and motion text effects, and allows you to burn your files, too. Superior playback including Blu-ray 3D discs is built-in as well as streaming to your Android devices, iOS devices, and Smart TVs. - Organize all your photos, videos, and music. Across all your devices. In one powerful application. - Take your videos and photos everywhere you go – with Nero Recode’s dropzone. - Convert your DVD-Videos, AVCHDs, Blu-ray Discs and audio CDs* straight to any mobile device – or Dropbox, OneDrive or Google Drive. 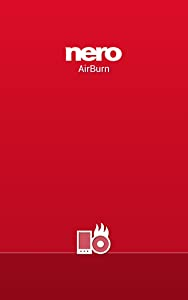 - Use Nero AirBurn to send files from your iOS or Android devices straight to Nero Burning ROM – all over your Wi-Fi connection! - For further requirements please visit the website. * Intended for non-commercial, personal content only. 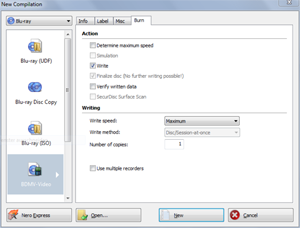 Review "Nero 2015 Platinum - DVD PC Software"